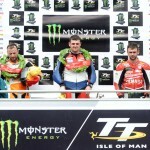 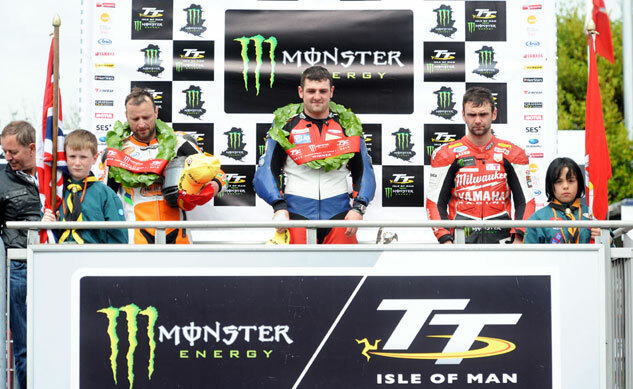 Michael Dunlop captured his second victory in the 2013 Isle of Man TT, winning the first Supersport race a day after doing the same in the Superbike race. 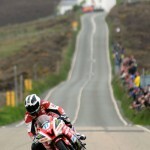 But it was a different Dunlop that led early on the first lap. 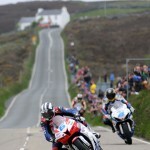 Older brother William Dunlop on the Milwaukee Yamaha R6 had the fastest time through Glen Helen, between the ninth and tenth milestones of the Isle of Man’s Mountain course. Second by 1.6 seconds was HM Plant Honda‘s Bruce Anstey, with Michael Dunlop another 0.1 seconds behind on the MD Racing Honda. 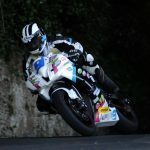 A few miles later, the younger Dunlop took over the lead before completing an opening lap time of 17:54.329, with Antsey four seconds slower in second and the elder Dunlop brother in third. 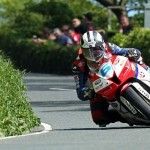 Michael Dunlop then completed a race-best second lap with an average speed of 127.525 mph to increase his lead to more than 10 seconds over Antsey. 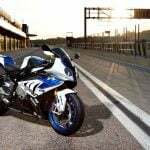 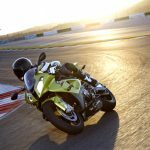 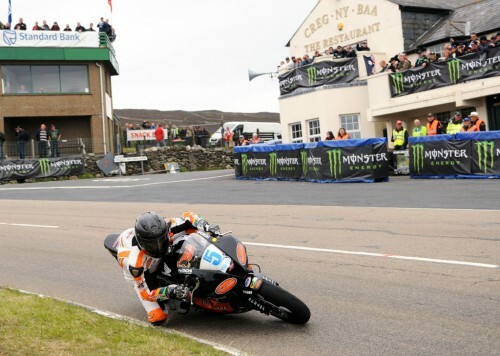 He maintained his lead after completing a pit stop on Lap 3, going on to win the four-lap race with an average speed of 125.182 mph. 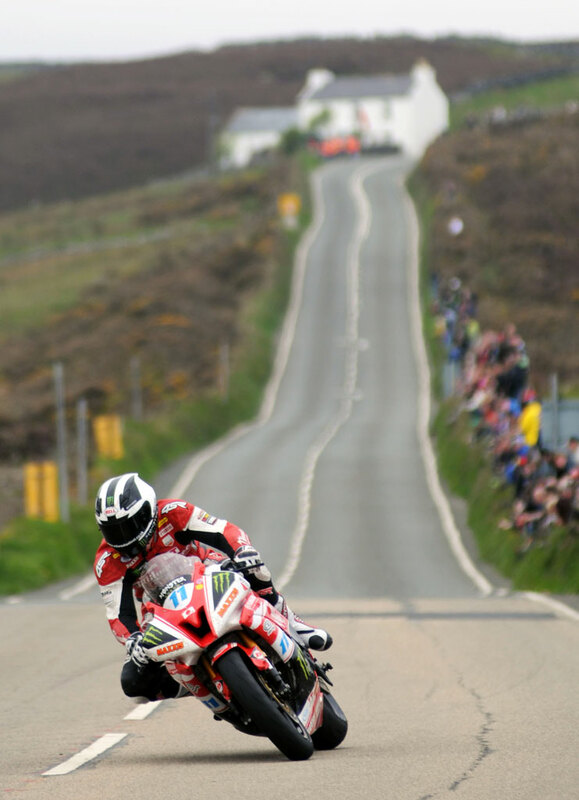 Anstey had a comfortable cushion over William Dunlop to take second with a speed of 124.884 mph while the older Dunlop brother averaged 124.510 mph for third place. 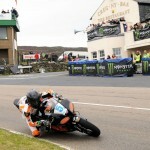 This marked the first time a pair of siblings have occupied two different podium positions in the same race in Isle of Man TT history. 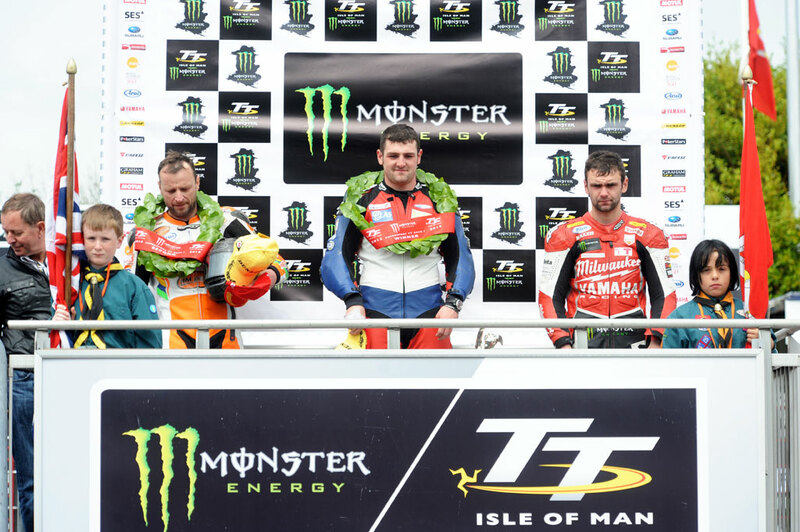 Speaking of history, the Monster Energy Supersport win was the fifth TT victory for Michael Dunlop, tying him with his father Robert.